Podcasts, Netcasts, call them what you want. Every geek out there should be listening to these things. Every single one of you. If ever you see a geek with earphones plugged into his/her ears, I guarantee you they are listening to the latest podcasts. It’s just something most geeks can’t live without. We thrive on the latest podcasts. Now, I know there are still some people out there who haven’t listened to many podcasts, and I’ve been feeling a bit sorry for those people because they are missing out on so much. So, I’ve decided to make a list of my favorite podcasts so that new listeners can have some suggestions while sifting through the thousands of new podcasts each day. I’m also always looking forward to getting new podcast suggestions, so why don’t you all post a small (or large) list of the podcasts that you listen to? Here are 10 podcasts that I can’t live without. Everyone interested in technology should give them a try. 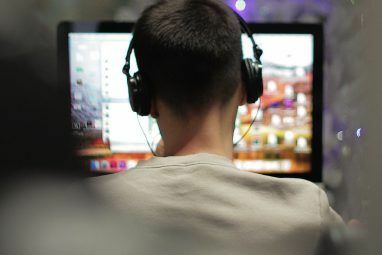 Plus if you’re looking for a suitable software app to subscribe to the podcasts, check out Nick’s article on 3 good podcast apps The 3 Best Programs for Subscribing to Podcasts The 3 Best Programs for Subscribing to Podcasts Read More worth trying. Those of you who are familiar with Digg will have heard of this podcast. Each week, see Kevin Rose and Alex Albrecht get drunk and discuss the latest stories on Digg, adding in their own hint of humor. Nothing better than two drunk guys talking about tech. This is a great podcast if you’re a big Digg fan or for those of you who don’t visit Digg as frequently as you’d wish. Listening to Diggnation is a great way to catch up on the stories of Digg. A word of warning; the podcast’s humor is a little bit vulgar but I doubt you guys will be offended that much. If you really enjoy Diggnation and Digg, you should also check out The Digg Reel which covers the most popular videos on Digg each week. Hosted by Patrick Norton and Veronica Belmont, Tekzilla is a weekly dose of technology where users are extremely important. Tekzilla thrives on its users. Each week, they “Tackle Tough Tech Questions” as they call it and spend the time answering the questions. Tekzilla also has a daily show that they call ‘Tekzilla Daily Tips’ where a cool trick, app, or website is introduced in a minute to two minute segment. If you ever have a question about technology, just send an email to the folks at Tekzilla and your question may be answered on the show. Hak5 is relatively new to Revision 3 but it has been popular ever since August of 2005. The host Darren Kitchen talks all about technology and do-it-yourself-hack-projects as well as a little bit of tech humor mixed in. Great for those of your interested in modding, and DIY projects. Get your hack on. A more of a technical show than any of the others, Systm is for the serious modders. Hosted by Patrick Norton, this show is all about making things better. I don’t know about you, but I really love getting free drinks at the bar. Brian Brushwood’s show ScamSchool is all about “social engineering at the bar and on the streets” to get yourself free drinks. Even if you’re not a big fan of getting drunk or if you’re not at the legal drinking age yet, ScamSchool is still one of the coolest podcasts about magic tricks. I know it’s not really tech related, but we all want to amaze our friends with cool magic don’t we? Getting a free drink would just be a bonus. Possibly the most popular tech podcast. Everyone who considers themselves a geek should have heard about this. This is the main show in Leo Laporte’s TWiT network. TWiT is short for “This Week in Tech”, and the title says all. Each week, Leo Laporte gets together a panel of famous tech people and discusses the latest news topics in technology. Previous people in the TWiT panel have included John C Dvorak, Patrick Norton, Veronica Belmont, Kevin Rose, Wil Harris, Ryan Block, Jason Calacanis, Adam Curry, Robert Heron, Roger Chang, Steve Wosniak, Alex Lindsay, and many more. This podcast is so epic I can’t even describe it. Though this podcast is supposed to be all about tech news, it has been known to go off on some tangents and end up as a debate about tech ideas. Definitely someone every geek should listen to. In this show, Leo Laporte and Amber MacArthur start by talking about things that are going on in the tech world. After a few stories about tech, they introduce a guest who is usually related to an interesting new beta website. The interviews aren’t very long and Leo and Amber always seem to pick great sites to talk about. If you’re one of those people who are interested in being the first to try out new websites you’ll be very happy that you subscribed to Net @ Night. This podcast is for anyone interested in keeping themselves safe on the internet, securing their computer from intruders, recovering data, and anything else related to security. Leo Laporte talks with Steve Gibson the creator of GRC and the man who coined the term ‘spyware’. This man is a genius and knows pretty much everything about security. His site (GRC) has the famous ShieldsUp! tool as well as many other security applications/downloads. If you’ve ever been afraid or curious about the bad things going on with the computer industry, Security Now! is a must listen for you. As the title suggests, this podcast is all about Windows. The latest Windows news, tricks, updates, flaws, you name it, Windows Weekly should cover it. Paul Thurrott and Leo talk all about Windows on this podcast. There is also a part of the podcast where great software is introduced. It’s worth a listen, even if you aren’t much of a Windows fan. As you’ve probably guessed, this podcast is all about the Mac. However, unlike Windows Weekly, MacBreak Weekly has a much larger panel of Mac people to discuss things about Apple. The panel usually consists of Leo, Merlin Mann, Scott Bourne, Andy Ihnatko, and Alex Lindsay. They just spend an hour to an hour and 30 minutes talking about Apple, the Mac, iPods, Steve Jobs, and anything else you’d come to expect from Mac fans. So if you’re a mac fan this one should be definitely in your feedreader. A random sprinkle of great podcasts. I know, I shouldn’t be promoting the MakeUseOf podcast because I blog for MakeUseOf, but I’ve always been a big fan of the podcast; even before I was a writer here. 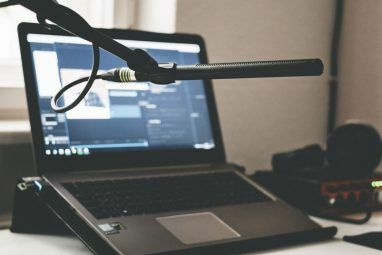 Although the MakeUseOf Podcast is quite new and is always looking for user comments and recommendations, it’s still a great podcast that covers tech news and even the stories that have been submitted to MakeUseOf. Those of you who are frequent MakeUseOf readers should add our podcast to your list to hear some inside info from the authors themselves. Give it a try and let us know what you think. In this podcast provided by the Ziff Davis network, host Robert Heron covers just about everything tech. 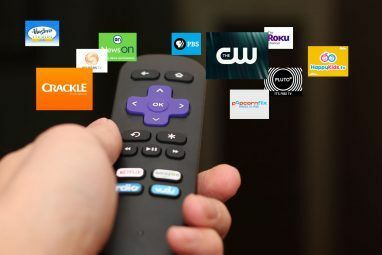 DL.TV has segments for gadgets, games, websites, tech pictures, tech help, and much more. It’s like a big box of tech wrapped in a neat little package. A great podcast about general technology, and a great place for reviews. Hosted by John C. Dvorak, this is the thing to listen to if you want to see geeks complaining about the latest trends. Like TWiT, Cranky Geeks also has a panel of unique tech people, most of whom are pretty cranky themselves. Each week, John and the rest of the geeks discuss the latest tech news and complain about everything along the way. I love being fed news by cranky old people. It’s such a delight. Cali Lewis gets her geek on in this very short daily podcast. She covers news, projects, gadgets, unique websites, and whatever might have caught her eye that day. Though it may be a short (only 3-5 minute) podcast, there is enough content in there for you to learn something. Quality is always better than quantity. Hosted by Morgan Webb, this is basically a daily news podcast. Nothing special, nothing extra. Just your daily dose of news. While many might think this is stupid, I can tell you that it’s a big help on catching up on what you’ve missed after a day of work. It’s not like everyone has the time to read up on their favorite blogs. WebbAlert is something that you should set to automatically download. Then, after a day at work, you can turn on your TV and see all that you’ve missed. Though most of the shows are only about news, there are certain episodes where Morgan decides to discuss a certain topic (like YouTube videos or the TED Conference). Think of this as the CNN Nightly Broadcast for tech. As a geek, I really enjoy making things. While I have podcasts like Systm and Hak5, there are some days where I don’t want to spend too much time making something. MAKE Magazine’s Weekend Projects does just the trick. Most of the projects on the MAKE Podcast are easy to create, and it seems like they’re a lot of fun to make. The usefulness of a project is just an added bonus. Previous MAKE projects have included making a Soda Bottle Rocket, hard drive wind chimes, Mint Tin Amps, a Bullwhip, and much more. I know you guys will love this podcast. Now if only I had the patience to make all these things…. So that was a list of my favorite podcasts. What are your favorite podcasts? Make a list and share your thoughts in the comments! Well, disappointed that my podcast didn't make your list, but an awesome list all the same. I love the TWiT network and I agree with Rick, Buzz Out Loud should definitely be on the list as should Gadgettes. I think Buzz out Loud should have definitely made the list as well. A lot of people listen to podcasts during a commute so a daily tech podcast is the best way to keep up. I love Twit as well and think the two complement each other, you can hear the news daily with a brief discussion on BOL, and a recap of some of the top stories with more in-depth discussion and different points of view on TWIT. I also second Radio Lab, I find it as interesting as This American Life, but with science. I've never seen a worse list of podcasts in my life. The article should be renamed "15+ Podcasts every Wannabe Geek Should Listen To". Most of these shows are created for pseudo-geeks without brains. I vote for the Web Hosting Show, great for hosting professionals and web masters. Great post, I listen to most of these, I'll have to check the ones I don't. I would have to also add Buzz Out Loud and I've recently started listening to gdgt weekly with Ryan Block and Peter Rojas, this is more about gadgets, but still a great tech podcast. @ Dave: I think the problem is fixed now. Thanks for catching it. @Cali: Keep up the great work! I'm sure we all love your podcast. Great job! @Kamen: I wish that TechTV was still around, but it seems Podcasting has brought the old gang back. Awesome isn't it? @Andy: I'm sorry you feel that way. I personally love Leo Laporte, which might be the reason I included so many of his Podcasts. @Reswob: Thanks for the suggestions, and I guess I should have clarified which were audio and which were video. All the ones from Revision3 are Video, and all the ones of TWiT are Audio. The MakeUseOf Podcast is Audio, and the CrankyGeeks can be downloaded in audio or video format. The rest of the podcasts in the 'Other Goodies' section are video podcasts. Sorry I didn't make it clear. @Varun: I'm no good at Photoshop, so listening to PhotoshopUseTV wouldn't much use to me. Nevertheless, I'll be checking the podcast out. Thanks for the suggestion Carun. Nice list Ken, Would like to add Photoshopusertv to the list, its a fun video podcast, ocassionally(coz lately there have been none) some good tutorials aswell. Minor nitpick: You probably should make a distinction between which are audio and which are video. I'm always looking for new podcast to listen to in my car since I have a long commute. And the cops probably wouldn't look favorably on me watching tv while I drive. Having said that, one of my favorites is Pauldotcom Security Weekly. Great tech segments and they cover stuff not always in my feeds. Also, I cherry pick stories from EscapePod; a great scifi podcast. Have to second the Buzz Out Loud mention - could probably skip reading most of my RSS feeds and just listen to it each day. Can't stand Leo Laporte, though, so had to give up any podcast from Twit since he's on ALL of them, and unfortunately seems to dominate the conversation on whatever he's on. Hak5 and Scam School are favorites, too. Its good to see the old TechTV crew doing what they do best, doing tech. I'm surprised I've never heard of you guys. So sorry hot that. But while checking the site out, it seems that GeeksOn is a great podcast. Thanks for the suggestions Frzfed2207. I can't wait to check it out in detail. OH.... and you have to check out Radio Lab.... Its amazing!!! AND Geeky!!! Thanks for recommending Geek Brief! I'm honored to be listed with such an awesome group of people! How can any list of awesome tech podcasts not include Buzz Out Loud?! As much as I love CNET, I find that I don't have enough time in the day to listen to BOL. Since it's a daily podcast and varies on length, I might start an episode and never finish it. Of course, BOL is an amazing podcast; but only for those with a lot of spare time on their hands. I absolutely agree. I was shocked they didn't make it onto this list. @Margaret: I'm actually a big fan of Russel Brand BBC, though I made this list for the techy people. Russel Brand is hilarious though. @Wootpeanuts: Extra Life Radio reminds me a lot of the Totally Rad Show. I'll be sure to look into it. Keep the suggestions coming folks. Extra Life Radio: General banter and musings about video games, comics, movies and other random events. Hosted by 3 webcomic authors. The CAGcast: Podcast about new release video games and the funny banter between the hosts. I always look forward to this one. Coverville: A podcast focused on Cover songs. Thanks for the techy list...I'll be checking a few of these out over the week.